If you’re thinking about creating your first website or updating your old one then you’ve hit the right place because in today’s blog, we’ll tell you all about WordPress, whether you should use it or not, and the difference between a WordPress Page and a Post. For some more redesigning tips, make sure you also check out this blog. Founders Matt Mullenweg and Mike Little started WordPress in 2003, initially as a blogging platform that within 2 years had evolved into something much bigger than that, with the launch of Pages. WordPress is an open source software platform that lets you create a beautiful online presence. It has loads of inbuilt themes, powerful features, and the freedom to build pretty much anything you want. Because WordPress has such awesome capabilities, it’s helped many small businesses stand up against their much larger competitors who have more funds to spend on digital marketing. 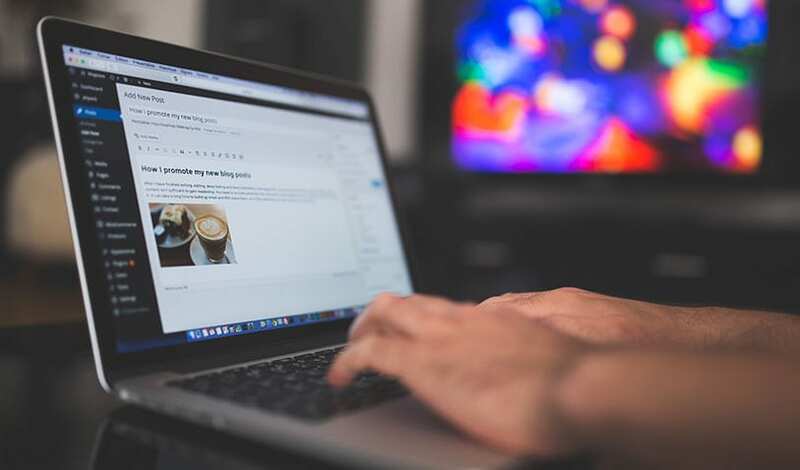 Today, WordPress powers more than 30% of the world’s websites, and it’s not just small businesses who are using it – the platform counts BBC America, Sony, Disney and Bloomberg among their customers. An incredible 75 million websites have been built on WordPress, 2.5 billion posts have been written on it, 50,000 websites are added daily and a whopping 409 million people have viewed blogs built on WordPress, That’s why it has become the largest content management system in the world. It is also pretty easy to use even for beginners, and with thousands of free templates to choose from you can definitely choose any look that you want for your site. Themes are customisable too and you can change colours, upload your logo, change the background, create beautiful sliders, and do heaps of uber cool things with your website without having to write any code at all. Not an expert in SEO? WordPress has got you covered as well, it has SEO plugin and a very SEO-friendly panel that you can use to give you an insight on how to improve your site’s SEO. Simply use the built-in updater for your plugins and themes from your WordPress admin dashboard and you’re done. Conveniently, WordPress also alerts you when there’s a new version available so you can update with just a click of a button. Now, that you know a little about why we totally love this awesome platform, we want to clear up some confusion that many of our clients have when it comes to whether content should be developed using a post or a page. WordPress gives you both posts and pages by default and because they look quite similar on the dashboard, you might be confused about which to use or whether you need both. Posts are blogs or articles that are chronologically in order on your site, usually defaulting with the newest post at the top and then heading on down to the oldest. You use Post if you want to write a normal blog post and you want to see a publish date. WordPress posts are also categorical and you have the option to assign categories and tags to each of them, so your posts can be more organised and your readers wont have a hard time finding the content they want to read. When someone hits your blog page, the easiest way for your audience to decide which post they want to read is if they can see a summary of it at a glance, and that’s why WordPress includes an excerpt option. This lets you create a brief description of your post so your reader will know the gist of what your post is all about. Although you’ll see an author for both posts and pages on the WordPress dashboard, it is only with posts that you’ll see an author publicly. Posts display in your RSS feed too, and this lets readers subscribe to your content by using an RSS reader. If you have regular newsletters that you want your audience to subscribe to, the RSS feeds can deliver these as email broadcasts through services such as MailChimp. You can also use one of the many WordPress social sharing plugins to share your posts in social media networks such as Facebook, Google+ and Twitter. Customisable formats are something you can take advantage of in Posts, making it easy for you to style your post to your preferences. You have control over the format of your images, videos, quotes, gallery and more. You can also control how many posts you want to display in the Reading Settings and there are absolutely no limits to the number of posts that you can have. In general, Posts encourage a conversation to happen through an in-built feature that allows users to comment on your post (but don’t worry, you can turn this feature off if you don’t want those comments to happen). Pages are typically used for content that is relatively static (although you may update it from time to time). They don’t display a publish date or author and are best suited for timeless content, such as your site’s “Contact” or “About” or “Services” pages. Pages are organised in a hierarchy based on your menu structure and you can choose whether or not your readers can navigate to a page through your menu. You can build as many pages as you like, including campaign-specific landing pages that are excluded from the main and sub menus but can be reached when someone clicks on the URL in your online campaign. Unlike Posts, there are no categories or tags associated with Pages, although there are plugins that you can get which allow you to use categories with Pages if you really feel the need. There are no RSS feeds with Pages (since the content isn’t constantly changing, there’s no point in this feature). WordPress also comes with a handy feature that lets you create custom page templates using your chosen theme. WordPress Pages are for timeless, relatively static content and never show a publish date. If you need a hand developing your new site, we’re here to help – just check out some of our work here and then contact us for a chat.